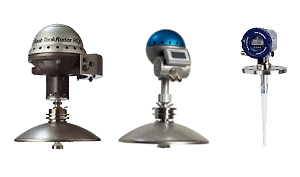 Tank Radar PRO - Radar for tank level gauging in smaller tanks. Accuracy ±10 - ±3 mm. Digital outputs, possibility for temperature measurement connection. The Rosemount Tank Gauging System is mainly used for storage tank gauging within tank terminals and refineries, and it consists of a large number of products to be combined to meet your requirements. The TankRadar level gauges and the other measurement devices, together with the TankMaster software, are integrated in the system to provide the best installed accuracy for product volume.